Sheikh Coast Diving Center is inside the Domina Coral Bay Resort in Sharm el Sheikh since 1994 and is considered the most comfortable Diving Center in Sharm El Sheikh thanks to the private harbor which is only few meters from the diving center from which our boats depart every day for fantastic excursions to discover the most beautiful coral reefs of the Red Sea including the atolls of Tiran and the Ras Mohammed marine park avoiding waiting times at the main port of Sharm and bus transfers. Sheikh Coast Staff undertakes to always give all its guests courtesy, friendship, honesty, competence and professionalism. Sheikhcoast Diving Center offers courses at all levels, from beginners to professionals, all specialties and this year became one of the most sought for technical diving as well as the reference point for divers with disabilities. Our facilities and boats offer comfort, hygiene and cleanliness, and environmental integrity and our equipment from the best brands is always overhauled and in good condition. We are always looking for efficiency and high quality of services, investing heavily on human resources and trying to form entirely our staff, ensuring adequate training in a professional and funny enviroment. 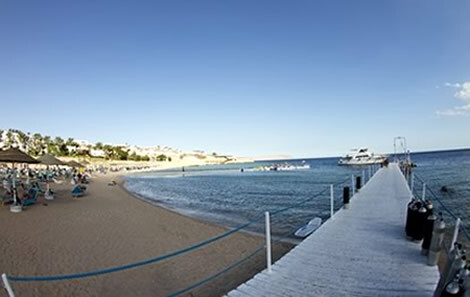 Sheikh Coast diving center has a commercial organization based on direct sales, and an administrative and booking system that always allows a direct contact with the customer. 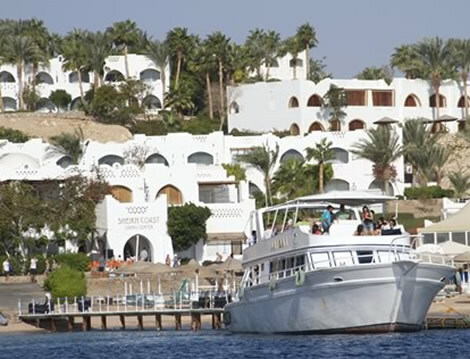 It also offers travel arrangements in Sharm el Sheikh in order to ensure the best quality / price ratio.